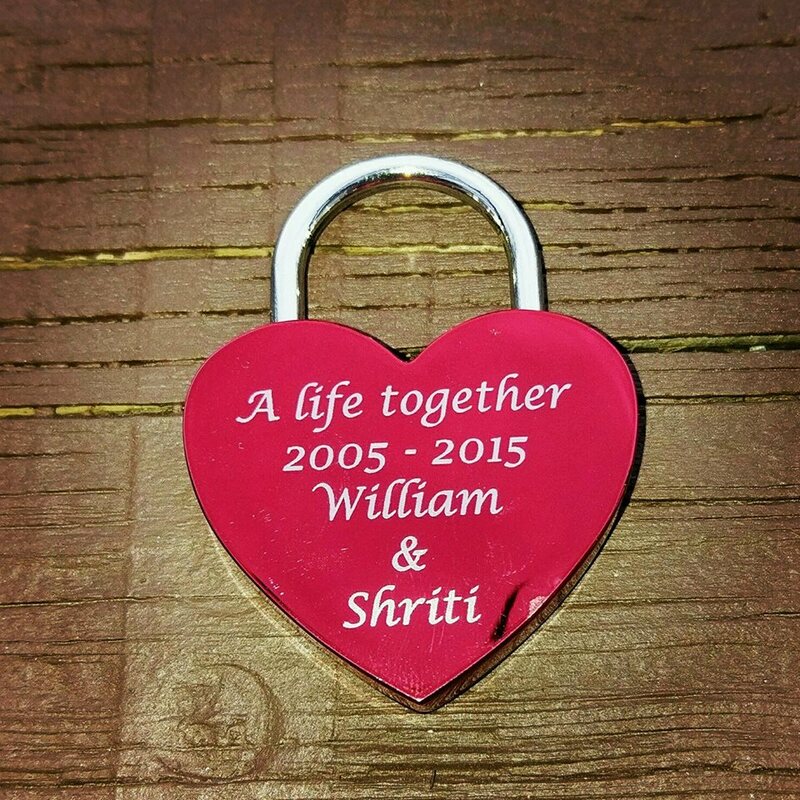 Inspired by an ancient custom where lovers lock a padlock on a gate or fence and throw away the key symbolically locking their love forever, adding a Love Lock to the Fence Stile Love Lock wall is a great way to celebrate your love. 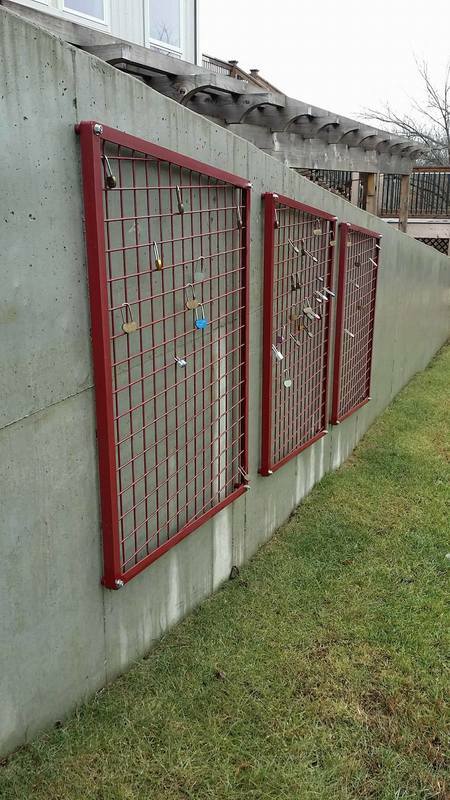 These locks can be found around the world from the Pacific-rim to romantic cities in France, Italy & Spain. The history of love padlocks dates back at least 100 years to a melancholic Serbian tale of WWI with an attribution for the bridge Most Ljubavi (literally, the Bridge of Love) in the spa town of Vrnjacka Banja. A local schoolmistress named Nada fell in love with a Serbian officer named Relja. Nada and Relja were engaged but Relja went to war in Greece and while there, he fell in love with a local woman from Corfu. Relja and Nada broke off their engagement and Nada never recovered from the heartbreak. 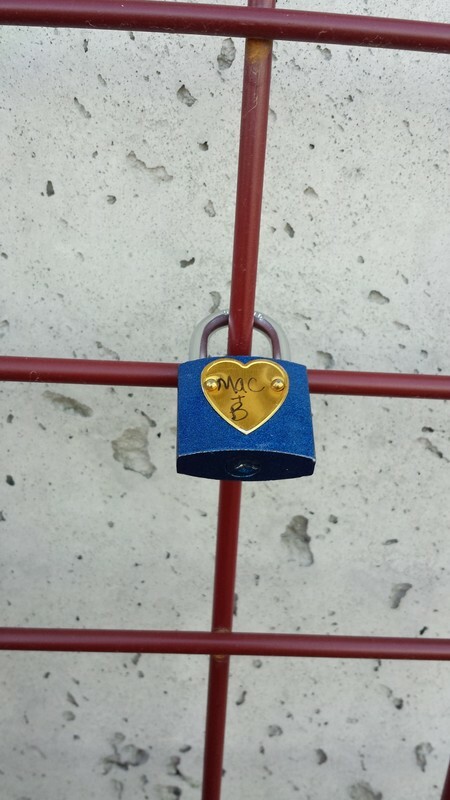 Young women from Vrnjacka Banja started writing down their names with the names of their loved ones on padlocks and affixing them to the railings of the bridge where Nada and Relja used to meet as a way to project their own love. 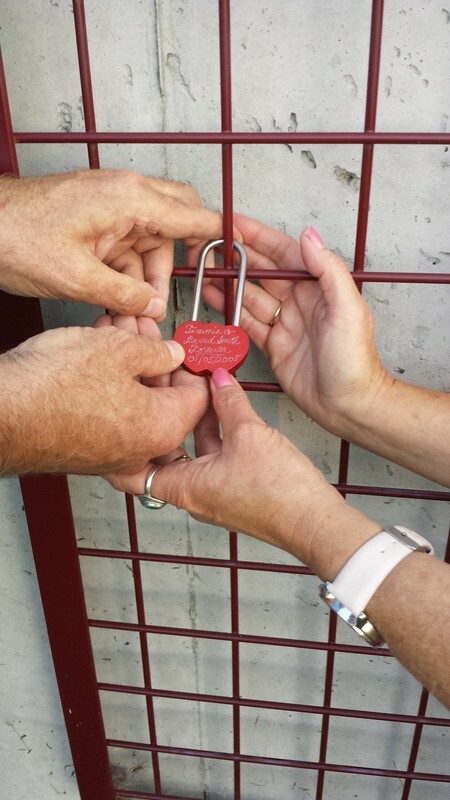 Bring your own lock or we have Love Locks available in the tasting room!